Previously, we offered version 4.9 of the recorder in our teaching rooms and on staff desktops via Get Programs. We’ve installed v5.2 in the teaching rooms, and have also made this version available via Get Programs. All in the same place as before, just with new coat of paint. We’ve flattened the previously beveled controls, taken a more minimalist approach to tabs, and added a bit of color and contrast to the design, which previously sported a uniformly concrete color. The result is a cleaner, more modern user experience for recording and live streaming. You now have access to your most recently used folders at the top of the list, as well as your personal folder. Search for a folder by typing in the first few letters. Check the box under the primary sources to record the audio from your computer as well as the microphone. Click the settings tab, then make sure this option is checked (at the time of writing, it is the the last checkbox on the screen). Your screen captures will then highlight the mouse cursor when they’re viewed. 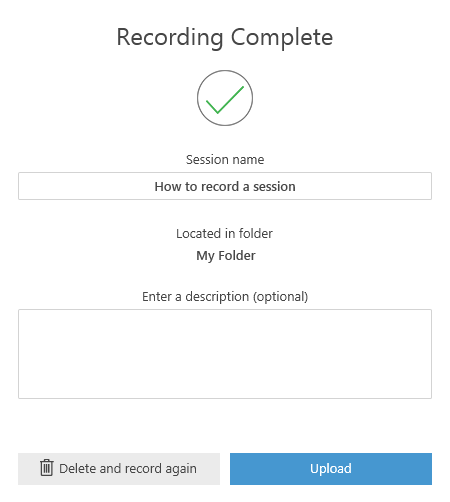 When you’ve finished a recording, you will see a confirmation screen which lets you edit the name of the session and add a description. Also, if you do a bad take, you can click Delete and record again, you’re no longer forced to upload it then have to delete it by logging into the Replay site. If you forget to click Upload, or if you just shut the PC down at the end of your session, the upload will start automatically the next time the PC is switched on. 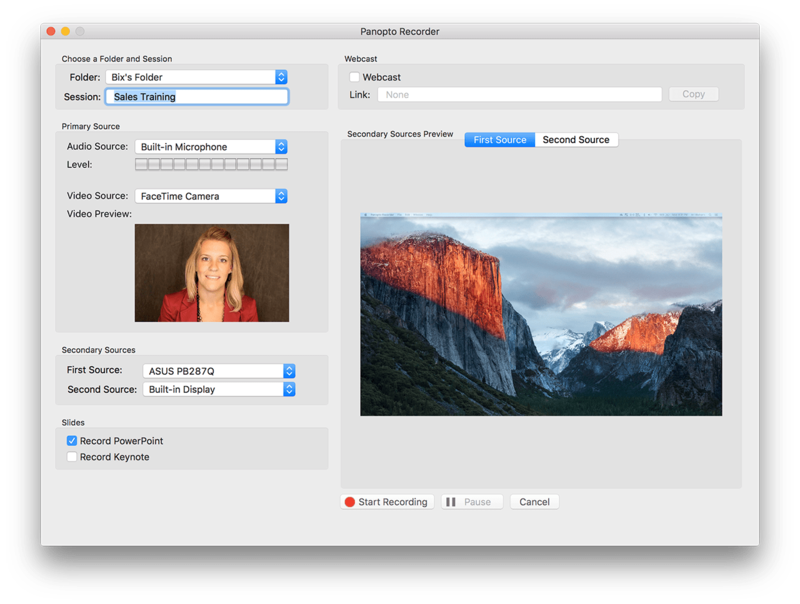 The OS X recorder has been redesigned to more closely mirror its equivalent on Windows.